Our Estonia-based colleagues certainly have an advantage when it comes to timely blog posts; lagging three hours behind we are now appearing redundant in our post topic! 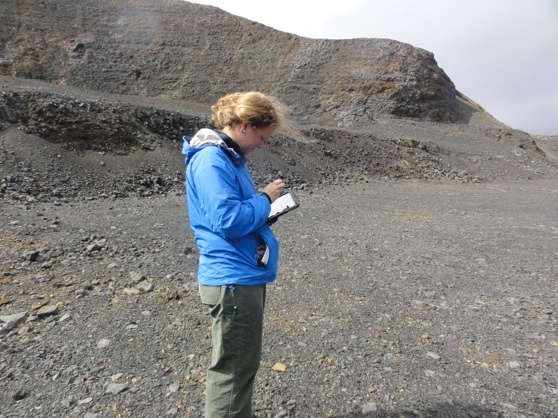 We too have been using the iPad 2 in the field, particularly today in Vatnsskarth quarry as the rain has turned into intermittent mist. 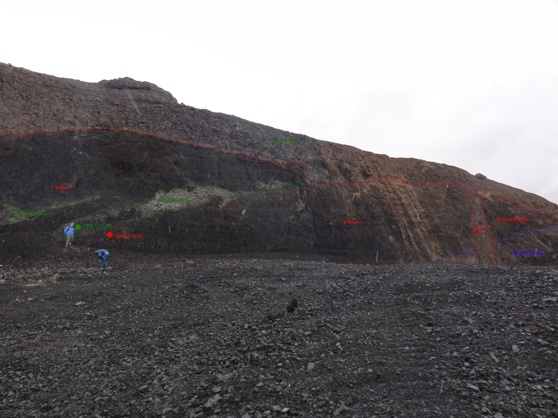 As Dr. Pollock and Travis took notes in their classic Rite in the Rain field books, I trailed along behind and took photos and annotated directly in front of the outcrop they were sketching. 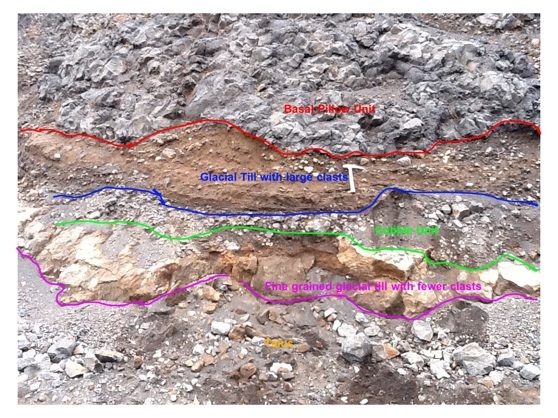 Base of the pillow ridge showing glacial sediment directly overlain by basaltic pillows. However, some photos do require more detailed annotation later in the cafe over a latte. We also wanted to share one of our equipment finds that leaves us worry-free about tossing the iPad into our day packs with basalt samples and other sharp or heavy objects. Below is the Otterbox case that we have on the iPad, which not only keeps it safe, but also acts as an easel-like stand for when we want to use the iPad on a flat surface. 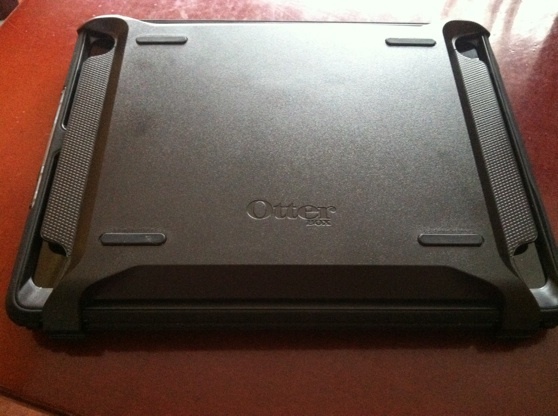 Otterbox case leaves us worry-free about the iPad's safety! We have been using the annotation app ArtStudio which we have found to be flexible and intuitive. 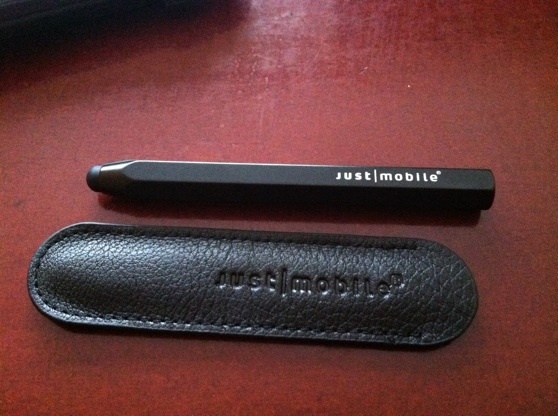 We are using a Just Mobile AluPen with the app to make drawing easier; like Dr. Wilson, I have found the stylus helpful. Finally, to keep the iPad safe from the rain and mist, we have found that a gallon-sized ziploc bag works just fine. Tomorrow we will head back to Undirhlíðar, since we finished in Vatnsskarth today. We are hoping for clear skies, but watching the mist blow through the quarry and across the rocky landscape today was beautiful. Dr. Pollock mentioned how easy it is to visualize Icelandic folklore and legends in weather like this, and honestly, imagining ghostly vikings emerging from the billowing mist didn’t seem all that far-fetched. Our two posts work very well together, Lindsey. You certainly have the best annotated photos and a cool case for the iPad! If it is any compensation on the timing, our two posts together produced the most hits our blog has ever had — by far. In fact, the last three days of dual blogging are the three highest days for visits. 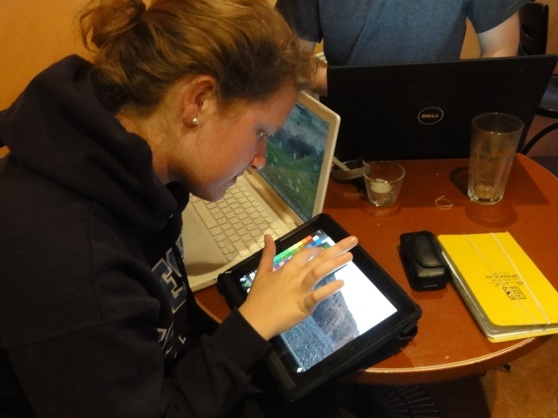 I love the classic image of you and Travis and three computing devices on that little café table! Have fun out there today! We have our last day on this little island and leave tomorrow again for the bigger island. The Wooster limestone and basalt adventures continue. The iPad is a perfect device using in the field. I have seen on many TV programmes the iPad been used as a device to show others research and information. It’s advantages being its easy-to-use tablet form, much more convenient than even the small laptop. Now the devices here, it’s up to everyone to come up with unique ways of presenting information and sharing it by the devices. Sorry, but forgot to mention for iPads in the field, I saw a great device on the Gadget show in the UK where someone had invented rubber balls which fit on each corner of an iPad. When fitted to an iPad, the iPad can be dropped and will never touch a hard surface as the rubber balls take all the impact. It looked like a very good addition to an iPad, especially in an environment where possibly can be dropped! Can see why you could make your own, maybe.